Good. All orders are dispatched from our UK warehouse within one working day. Established in 2004. No quibble refund if not completely satisfied. I enjoyed this book alot. it wasn't as good as the first one but it was still a good book the characters were mostly different but still interesting and it was, yet again, way better than the movie. 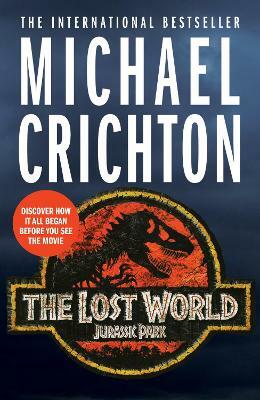 "The Lost World" is nowhere near as wonderful as "Jurassic Park." Though mentioned in the book several beloved characters from the first story were not involved with this new story. Instead Malcolm, the mathematician, is the lead. Dr Alan Grant might as well be forgotten. The book also seems more like a sequel to the movie rather than the book. Malcolm presumed dead from the first book is brought back as the lead in the second. Malcolm was not that great of a character, but he had been very popular in the movie. He was never a strong enough character to carry his own story. The action is well done. There are some slow scenes. Luckily there are less science chapters in this book, focusing more on the adventure.